A monthly Welsh language religious periodical intended for Congregationalist Sunday schools. The periodical's main contents were religious articles. The periodical was edited by the minister and teacher, David Davies (1791-1864) until December 1841, by David Davies and Thomas Rees until December 1845, and subsequently by the minister, David Rees (1801-1869). 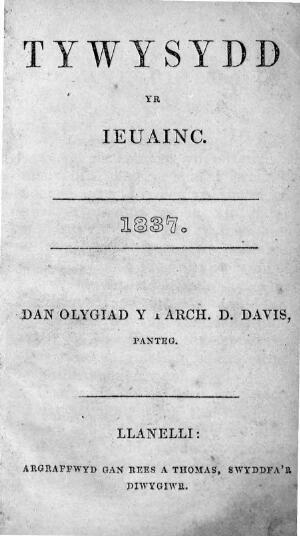 Associated titles: Y Tywysydd a'r Gymraes (1852).